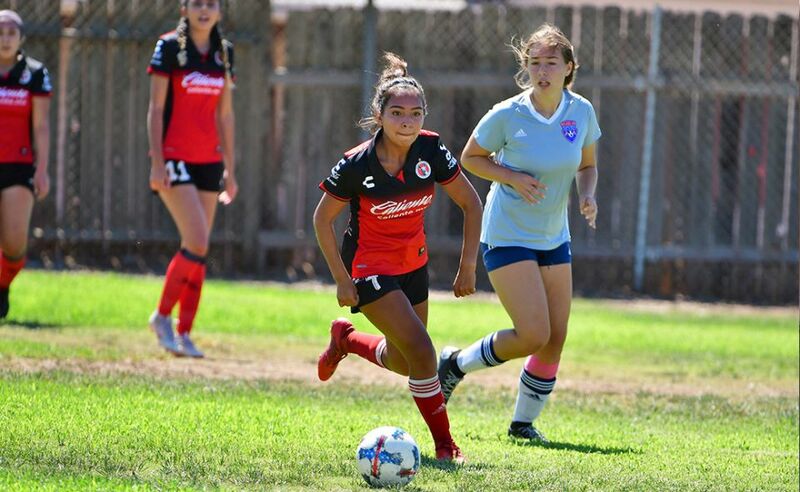 TIJUANA (Jan. 13, 2017) –Club Tijuana Xoloitzcuintles Under-17 squad kicked off the 10th anniversary celebration with a 7-0 win against visiting Club Puebla Friday at Estadio Caliente. Carlos Villa, Raul Sandoval, Cesar Rosales, Jorge Navarro and Kevin Navarrete. Villa opened up the scoring with a goal in the 34th minute when he made a half turn and shot it from inside the visitor’s penalty area. The 2-0 lead came when Sandoval sent in a header in the 41st minute. 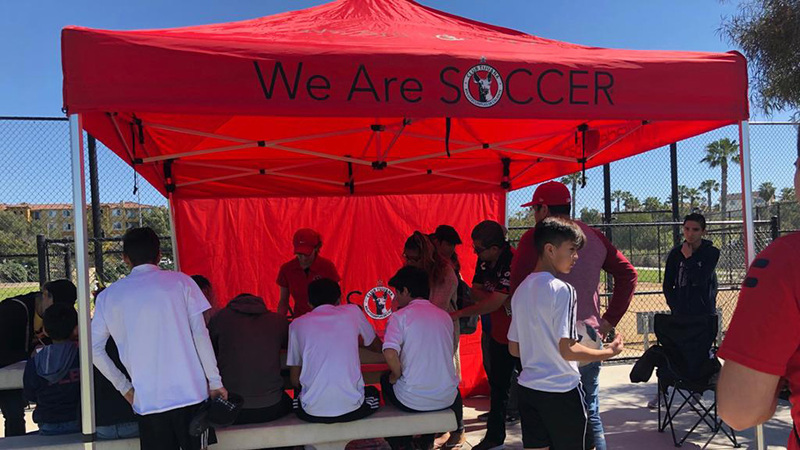 Club Tijuana kept on the offensive pressure. Rosales scored the home team’s third goal in the 48th minute via a penalty kick. Villa scored his second goa of the afternoon five minutes later with a shot after entering the Puebla penalty box once again. Sandoval also scored his second of the day in the 57th minute giving the home side a 5-0 lead. 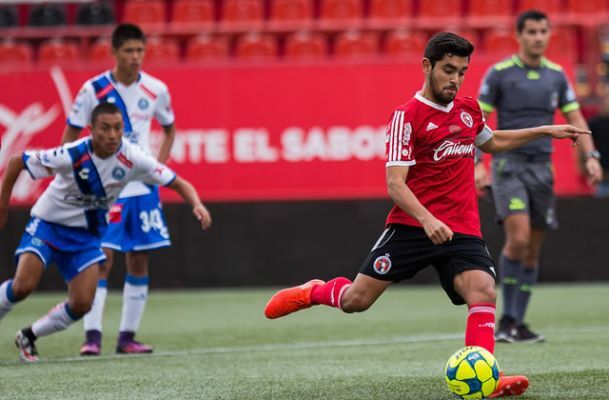 Navarro scored the sixth for Club Tijuana in the 68th minute fia a header. Navarete closed out the scoring with a goal via a penalty kick in the 82nd minute. The win gives the Under-17 squad three points in the standings and an extra point for winning the post-match PK shootout. Club Tijuana now has five points this season after two matches. 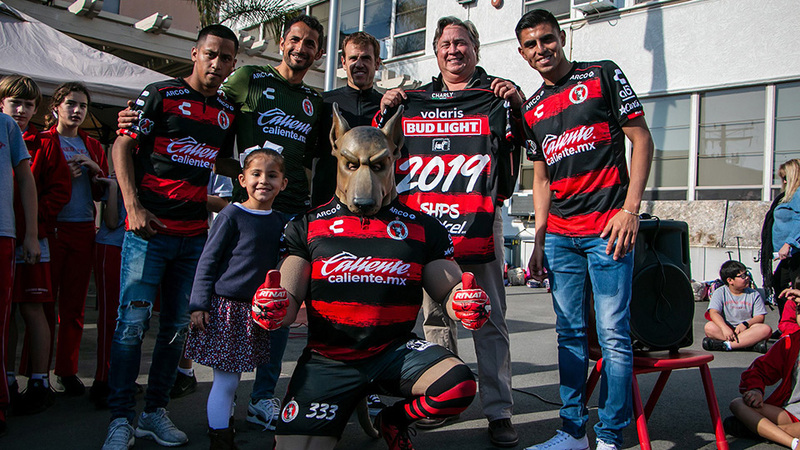 Coach Gilberto Mora’s team will now travel to face Club Deportivo Guadalajara Saturday Jan. 21 (9:30 a.m. Pacific).